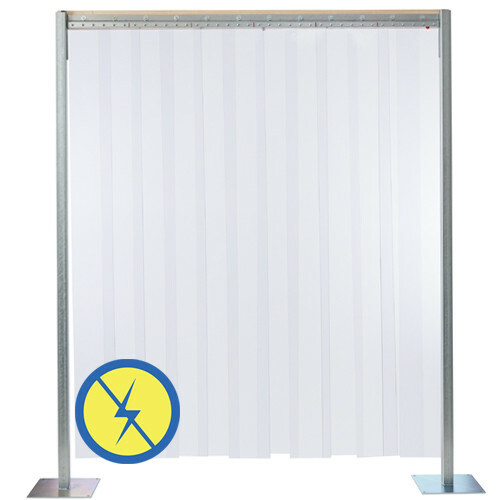 Anti-Static Strip Doors are specially formulated to reduce the static charge normally associated with plastic strip. They have a smooth finish and are designed for low traffic environments. Additionally, they meet the static discharge requirements of Federal Standard 101C. Anti-Static doors are designed for a variety of indoor applications where it's important to reduce the amount of static electricity, such as in data centers and areas with sensitive electronic equipment. They are also great for clean room applications as a barrier between openings in a lab environment. Our anti-static strip doors can be configured to meet the needs of your strip door application.